Bennett Berson helps global clients with their most complex, cutting-edge intellectual property needs, providing experienced counsel and thought leadership in the biotechnology space. Bennett works closely with a wide range of businesses and research institutions to evaluate critical intellectual property opportunities for today's breakthroughs with an eye on how those innovations will evolve tomorrow. Bennett devotes much of his practice to protecting intellectual property around creating and using human pluripotent stem cells, one of the most important and game-changing scientific breakthroughs of our time. He not only counsels on the current stem cell intellectual property landscape, but looks ahead to new developments now on the horizon. Bennett also has significant IP experience pertaining to next-generation sequencing and regularly helps clients identify patent-eligible inventions arising out of clinically-relevant genomic, proteomic, metabolomic, and pharmaceutical investigations. He speaks regularly on a range of intellectual property matters, including strategies and insight pertaining to new U.S. Patent Office practices implemented following the U.S. Supreme Court's recent Prometheus, Myriad, and Alice decisions. 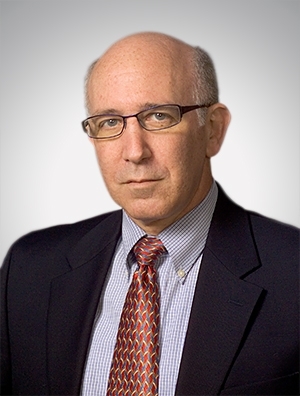 Bennett devises and implements strategies for creating, maintaining, and enforcing trademark and patent properties for large and small clients in the United States and around the globe, advising on pre- and post-acquisition strategies including patent litigation, patent oppositions, trademark opposition, and cancellation proceedings. Bennett is active in the International Trademark Association and the Association of University Technology Managers. He represents the intellectual property needs of a broad range of clients, from the most sophisticated industry leaders to small and mid-level local companies and organizations.